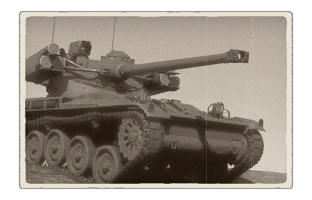 This page is about the light tank AMX-13 (HOT). 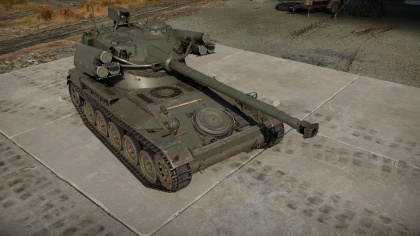 For other uses, see AMX-13 (Family). The AMX-13 (HOT) is a Rank VI French light tank with a battle rating of 9.0 (AB/RB/SB). It was introduced in Update 1.75 "La Résistance". The AMX-13 (HOT), at 9.0 can definitely do some damage, even to top-rank MBTs and (as of 1.81), helicopters. 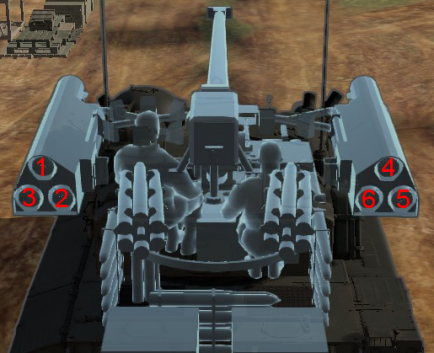 The six HOT ATGMs are enough to penetrate almost any armor in the game, save for the M1 IP's turret cheeks, and the T-64BV's upper glacis (with ERA in place). This makes it a viable tank destroyer, but unlike any of the MBTs, you cannot take a hit and survive. Even certain machine guns and aircraft cannons are capable of killing you easily. Use your spotting ability to alert your team to enemies, and try and get an ATGM in a soft spot, like crew or ammo. Just remember: You only have six ATGMs, after that, you're using a conventional gun, firing solid shot AP, which, can ammo rack (ie: T-64, T-80), but it's not a guaranteed kill. Ammo racks of the AMX-13 (HOT). Skins and camouflages for the AMX-13 (HOT) from live.warthunder.com.